Over the years, ECCA elaborated a series of Test Methods, a helpful tool for those wanting to test prepainted metal. In 1995 a Working Group of CEN TC139, supported and sponsored by ECCA, was started. 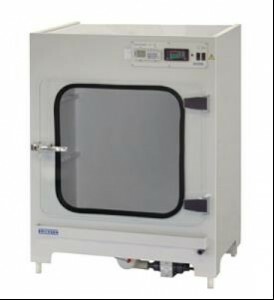 The outcome of this work is the conversion of ECCA Test Methods into EN 13523, a European standard with over 25 parts. Pencils of various grades of hardness are moved over the painted surface at an angle of 45° to the horizontal with a force of 5 N, 7.5 N or 10 N (± 0.1 N). The pencil hardness is defined by those two grades of hardness the softer one of which just produces a writing trace while the next harder one leaves a perceptible scratch on the coating. 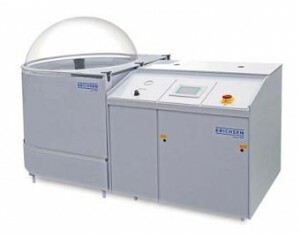 For tests on coatings for crack formation, breaking off, adhesion and elasticity. A bulge is formed in the sheet metal by a falling weight with a hemispherical end. The coating can be on the outside or on the inside of the bulge. The energy of blow can be varied either by using different heights of fall or different dropping weights. 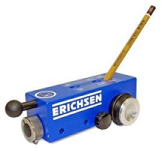 Lever-type instrument for testing the flexibility and the adhesive properties of coatings when these are subjected to bending stresses. With 14 easy exchangeable mandrels (diameter 2 – 32 mm). 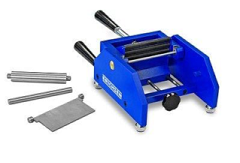 Testing with the cylindrical mandrel bending tester determines the greatest cylinder diameter at which a coating will show cracking or flaking subsequent to bending. 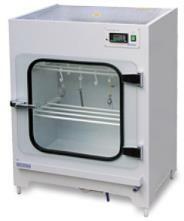 Model 266 S allows the testing of samples up to a width of 100 mm.